It’s only after seven months when AppDirect raised $50 million earlier this year and now increased funding amount of $140 million advised by JP Morgan Chase. The partners included Foundry Group, iNovia Capital, Mithril Capital Management, StarVest Partners. The San Francisco-based startup was launched in 2009 by co-founders Nicolas Desmarais and Daniel Saks. 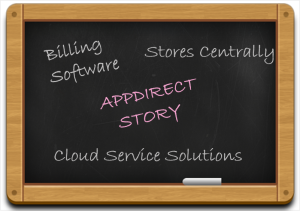 AppDirect is a cloud marketplace platform, which has raised $245 million till date. It provides a suite of cloud service delivery solutions for companies to create their own marketplace. An independent software vendor often faces the problem finding it difficult to market its wares through diverse routes. Secondly, it is not easy to manage the required resources of a channel program. AppDirect fixes both the issues by providing a monetizing suite of services aimed at ISVs for selling applications via the channel. The Suite contains management tools with billing software, available to every developer. AppDirects service acts as the middleman for enterprise software buyers and service providers. It is used by third-party implementation partners like a contractor to serve other companies the cloud business tools. The company’s Marketplace Manager gives their partners the tools needed to help developers better and end users. AppDirect delivers a suite of cloud service solutions that allows channel partners to search, buy, and use the web based software. The company receives a bill on a monthly basis for the tool where businesses can subscribe to applications, and assign them to the suitable worker. The tools offered by AppDirect are helpful for business channels to improve service developers and end users as well. It allows the partners to manage settings and components of cloud application stores, centrally. Moreover, they let the partners to roll out new services, app bundles, and promotional offers to their small firms. Familiar software suites include Google Apps, Invoice Express, Microsoft 365. Since the cloud saves money and enhances productivity, Businesses are shifting to cloud taking the advantage of both software and service on one platform. Co-founder and Co-CEO of AppDirect, Daniel Saks says that Developers are seeking the company’s tools for seamless growth of their business due to the powerful monetizing cloud services by AppDirect. They are helping many SaaS firms to build their API along with the integration to automate a commerce effort and marketplace existence too. The company is helpful in widening the reach of businesses, especially for early adopters. In most places, there are customers who go for a third-party implementation party that advise them about software, which is to buy and when. With AppDirect service, the service providers can launch product data online within a week while the developers can join once and make their software available for marketplaces worldwide. According to Daniel, the AppDirect presents with capabilities as a complete service so that the developers need not build their channel management and billing software. Telstra, ADP, Samsung and Deutsche Telekom are some of the names using AppDirect’s service. AppDirect is aiming to be the bridge between service and users by exploding cloud software business. Also, acting intermediately for apps the firm will be allowing the developers to share the data among them. Initially, there were 100 cloud applications to sold via channels, which now has become tens of thousands targeting various markets and regions. The company is not making profits, but their focus is to work on 1 million subscribers using their capital and grows the top line business of their service. AppDirect’s main aim is to offer service that is taken by the market not by the developers so that they can concentrate on required technical part with hassle free management.